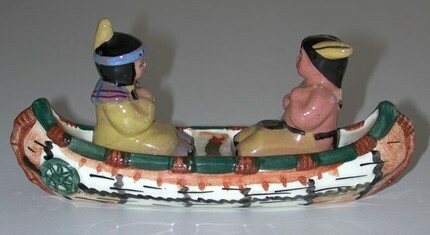 Late-1940s Occupied Japan Indians in Canoe Salt and Pepper Shakers DESCRIPTION: Man and woman sitting in a canoe. Woman has hands crossed; man is paddling with an oar. Both figures missing corks and maked "Japan" Canoe marked "Occpied Japan" and "Souvenir of Gettysburg, PA" MEASUREMENTS: Canoe: 7.75" long, 2" wide, 2" high Figures: 2" long, 2" wide, 2.5" high CONDITION: Excellent. THE FINE PRINT: Immediate payment with PayPal only. 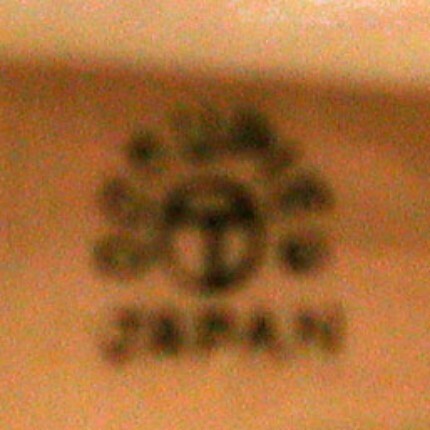 No international shipping. Happy to combine domestic shipping. If combining, please email for rate. Insurance at buyer's request and expense. Freebie shipped with purchase. Seller assumes no responsibility for item once transferred to delivery courier. All shipping addresses must be "Confirmed" by PayPal. All items sold "as is." All sales are final. We reserve the right to refuse service for noncompliance with policies. Thanks for your patronage.